In November the Mother Nature of LVM Nature Park in Tērvete lulled her Fairytale Forest's citizens into winter sleep, but in the other part of park – in the Dwarfs’ Forest – the vigorous Dwarf family continues to be active all through the year. In November pre-school and primary schools’ 1st and 2nd grade groups were invited by active dwarfs to participate in two creative environmental workshops – “Adventures of Mārtiņdiena” and “Congratulations, my green Latvia!”. This year, in the Latvia's centenary, “Congratulations, my green Latvia!” workshop was very popular, which invited to prepare for and celebrate the birthday of our country. Dwarf family together with children visited a peculiar wheel of time, in which historical stories were entwined with environmental awareness and Latvian traditions. 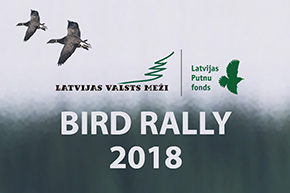 Special attention in environmental workshops was dedicated to the Latvia's treasure and most important natural resource – forest. After two hours of participation in creative workshops each of participants had a hot cup of herbal tea in their hands and their eyes sparkled with satisfaction about their capabilities and participation. From 28 November until 21 December the LVM Nature Park in Tērvete will hold Christmas workshops. Pre-school and primary schools’ 1st and 2nd grade groups together with Dwarf family will creatively and educationally prepare for winter solstice. The creative workshops will be filled educational stories, working with wood and ancient woodworking tools, also with a visit to the Dwarf Yard’s surprise room, where games and secrets live. The LVM Nature Park in Tērvete invites to go into nature and enjoy the winter solstice magic in forest!